Today I have another super simple meal to share with you: Fish fillets cooked with sautéed epazote leaves, onion and habanero peppers. Before we get to the recipe I’d like to introduce you to epazote. 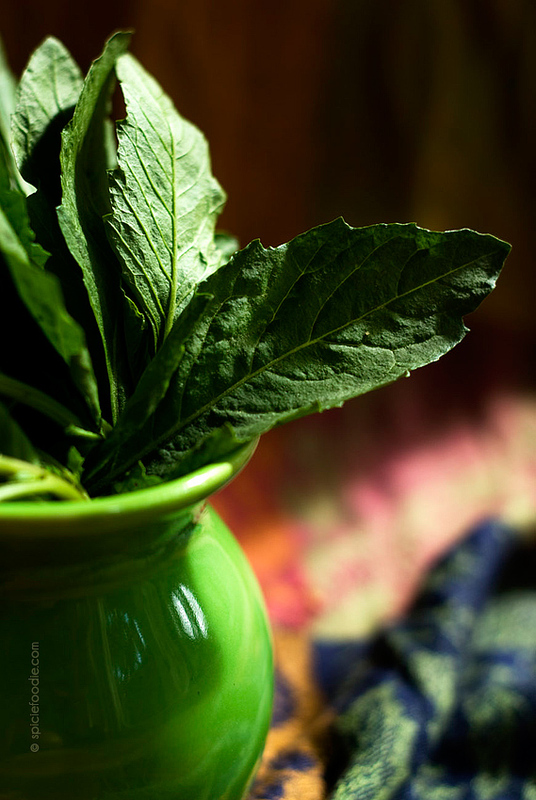 Epazote is an aromatic herb used in Mexican cooking with a very distinct scent and taste. 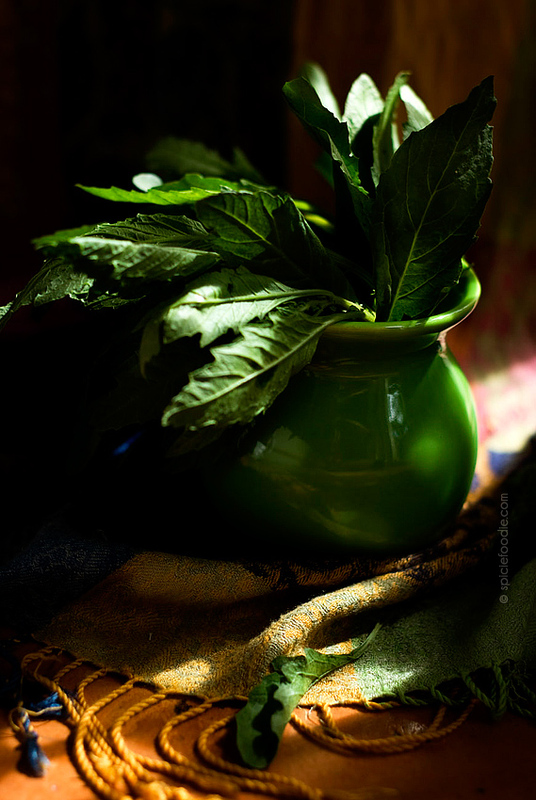 You may know this herb as Jesuit’s tea, Mexican-tea, wormseed, pigweed or goosefoot. Native to Mexico, Central and South America it has a deep and prized history in the region. ; But outside of Mexico in places like Europe, Asia and the US, epazote is treated as a weed and/or a pest in gardens…Too bad. Mexicans have long been using epazote for it’s medicinal properties and to give food a unique taste. Most people use the herb in beans, where it is added to yield a unique flavour as well as help tone-down flatulence caused by the beans. Additionally epazote may be added to quesadillas, soups, sopes, tamales, enchiladas and mole — I love it in mole! The scent and taste of epazote are ones that you’ll either enjoy or find repugnant –similar to the cilantro debate. I’m on the enjoyable side. When I pick up a leaf of epazote I smell an herb with a wild weed scent. Other people say they smell turpentine, while others disagree and say the scent is a lemony one. I find the taste of raw epazote to be herby, peppery and astringent in the same way that arugula can be. Many others disagree and say they can’t get past the strong turpentine smell and taste. As you can see this is truly an herb that you must smell and taste for yourself to see if you’ll become a fan. 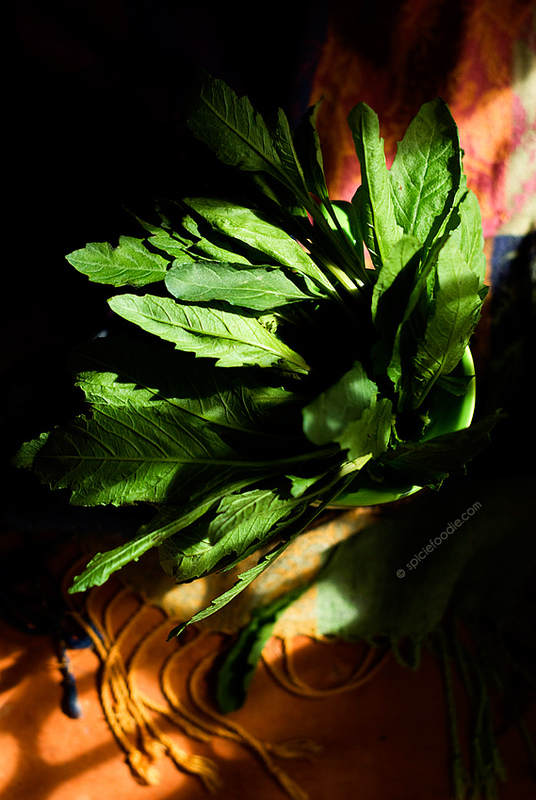 Fresh leaves or bunches of epazote may be purchased at your local Mexican or Latin American food stores. If fresh cannot be found then dried will also work. If epazote is new to you I suggest starting off with one leaf then working up to the flavour you find most pleasant. According to this article, “The older leaves have a stronger flavor and should be used sparingly. Younger leaves have a milder, yet richer flavor.” As for dried epazote I find it to have a milder taste and scent, but it still works great when I’ve run out of fresh. As previously mentioned there are so may ways to cook with epazote, below is the recipe for this delectable fish fillets. Give fish fillets a uniquely Mexican flavour by using leaves of epazote to flavour. Don't forget the habanero pepper for that spicy kick! Pat dry the fish fillets and set aside. Heat one tablespoon of the olive oil over medium heat, once warm add the onion slices and habanero peppers. Saute until the onions begin to soften and the peppers begins to blister. Next add the garlic slices and epazote and sauté until the garlic begins to soften, about 2 minutes. Make sure to keep stirring to prevent the ingredients from burning. Push the vegetables aside, or if they are starting to brown remove from the pan. Add the remaining tablespoon of olive oil and gently place the fish fillets into the pan and sprinkle with a bit of salt. Allow to cook for 5 minutes then flip the fish and place some of the cooked vegetables onto each fillet. Continue to cook until the fish is firm and cooked through, about another 5-8 minutes. (Cooking time will depend on thickness of the fillets.) Right before serving drizzle with fresh lime juice. Serve with sautéed broccoli and warm corn tortillas if desired, or alternatively serve with your favourite green vegetable or starch. *Please remember that if epazote is a new flavour to you to use one or two small leaves. If fresh is not available dried may be used, start off with a large pinch and work yourself up from there. **To make this dish for four people simply double the fish and other ingredients. The meal was really good! The flavours all complimented each other well, and epazote was not over-powering at all — in fact I consider it to be even more mild then arugula, which I like, both of them. I really hope you give epazote a try and to encourage you below are a few links to recipes using epazote. Enjoy! A refined and succulent dish! I’d love to taste those leaves. This is a great article to introduce people to Epazote. Thank you for including my squash blossom and epazote quesadilla recipe! Thank you Sandi and loved your quesadillas. I love cilantro so I’m sure to love epazote. Fish needs to be matched with zest or tang, so I’m good with this dish! Thanks for sharing, Nancy! When we lived in Texas, I could always find epazote in the grocery store. Now, I have to go to a Mexican market to find it. It’s good stuff, and I love how you’ve used it here. Thanks. Thank you, I didn’t know epazote. Epazote is something I’ve seen around here, especially as the Mexican markets, but I had no idea how to use it. Now I do! You’ve given me quite a few ideas now that I know more about it. thanks! I have never heard of epazote leaves…but I know that I will like since I like cilantro…sounds really good with fish. 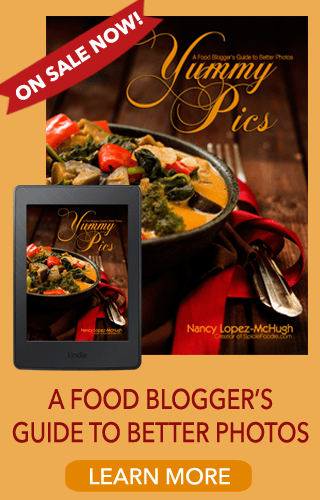 Great recipe Nancy! I love learning about unique ingredients Nancy and you’re a great teacher. Thank you! Please forgive me if this is a duplicate comment. It’s so nice to learn about new ingredients and you are an excellent teacher. Thank you for this recipe! I cooked it tonight with some tilapia filets and the mixture of onion, garlic, hot pepper and epazote was delicious. I have been growing epazote for a while, as it’s really easy to grow and it self-seeds easily, but I wasn’t sure what to do with it besides beans. I will definitely cook this again! My pleasure! I think it’s wonderful that you grow your own and use it in beans. 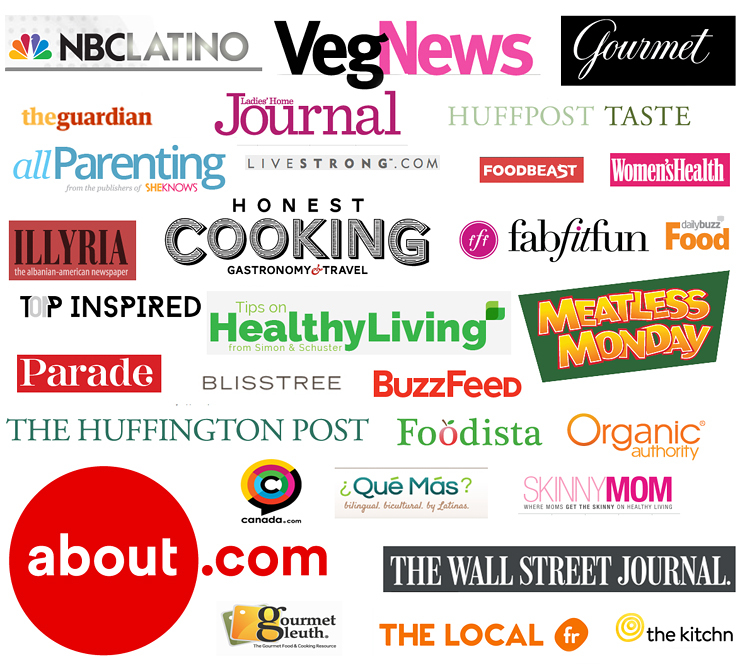 Thank you and keep enjoying all these great ways of using epazote. I grow epazote, just for beans, Honestly, I never thought to cook fish with it. I so love to find something new and inspiring, as I always do with your blog.